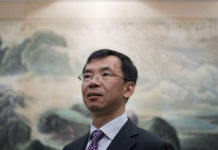 In its first move since Meng Wangzhou was arrested Dec. 1, Chinese Vice Foreign Minister Le Yucheng summoned Canadian ambassador to China, John McCallum, to urge the immediate release of Huawei’s chief financial officer, the foreign affairs ministry said in a statement Saturday. Meng’s arrest, on allegations that she committed fraud to sidestep sanctions against Iran, has become a flash-point in trade tensions between the U.S. and China, roiling markets. 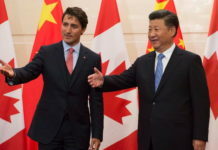 On Friday, the U.S. began a market-shaking case against the Chinese telecoms giant in a Vancouver courtroom, alleging that Meng had hidden ties between Huawei and a company called Skycom that did business in Iran, said a lawyer representing Canada during the court hearing. Canada is presenting the case on behalf of the U.S., which wants to extradite Meng. 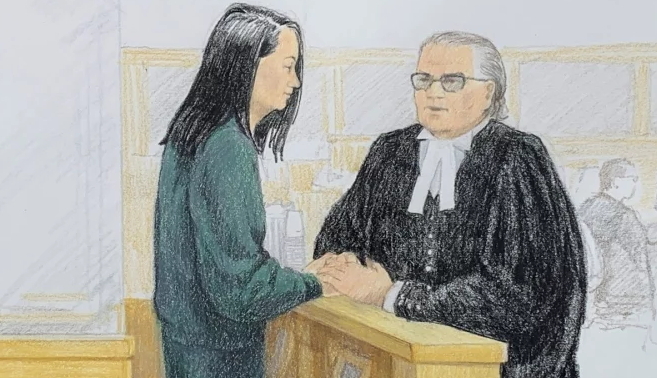 Meng was charged with conspiracy to defraud banks and should not be granted bail because she may flee, Crown attorney John Gibb-Carsley said during the court hearing in Vancouver earlier on Friday. 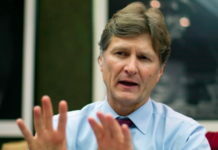 Banks in the U.S. cleared money for Huawei, but unbeknownst to these financial firms, they were conducting business with Skycom in contravention of the sanctions, the lawyer said. Meng’s defense lawyer David Martin said the evidence presented doesn’t prove she broke either U.S. or Canadian law. U.S. sanctions law is complex, has changed over time, and there are exemptions for telecom equipment in the country’s Iran sanctions, Martin argued. 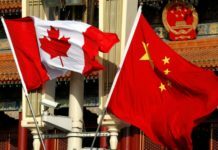 Meng was arrested in Vancouver at the behest of U.S. authorities. She was flying from Hong Kong to Mexico with a stop in the Canadian city. Meng spends two weeks a year in Vancouver, her family owns properties in the area, and she has a 16-year-old son at school in Boston. 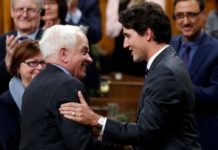 Martin, her lawyer, said she would never breach a court order on bail because that would embarrass her father and China. 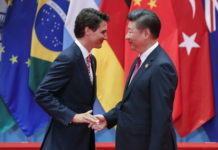 The case has hit markets already hammered by months of rising trade tension between the world’s two largest economies. The move has especially enraged China, which called for her release. Meng is one of China’s most prominent businesswomen. She is the daughter of Ren Zhengfei, the founder of Huawei, a national champion at the forefront of President Xi Jinping’s efforts for China to be self-sufficient in strategic technologies. While the U.S. routinely asks allies to extradite drug lords, arms dealers and other criminals, detaining a major Chinese executive in this manner is unusual. During a meeting with HSBC, Meng used PowerPoint slides for a presentation that included several misrepresentations. 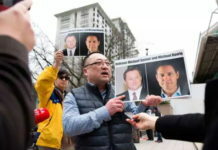 She allegedly said Huawei operated in Iran in strict compliance with applicable laws and sanctions, although Skycom was using the U.S. financial system to conduct prohibited Iran transactions. Meng stated Huawei’s engagement with Skycom was a normal business cooperation, when Skycom was in fact entirely controlled by Huawei.